In collaboration with the Writing Center, Syracuse University News is starting a new series of stories, Tips for Better Writing, focusing on skills, techniques and suggestions for better writing. This first piece highlights the work of the Writing Center consultants who assist thousands of students every year. Maybe the words aren’t flowing. Or you’re grappling with the organization for a complex assignment or even just debating a correct subject-verb agreement. There’s a place—and a dedicated, skilled group of people—that can help. Located in 101 Huntington Beard Crouse Hall, just off the patio, the Writing Center offers students free, one-to-one assistance with any writing concern that they may be struggling with—from development and organization to sentence structure and punctuation. Trained writing consultants not only provide the guidance and technical expertise to help with a student’s specific assignment, but are also there to assist them with the bigger picture: the student’s progression as a writer. 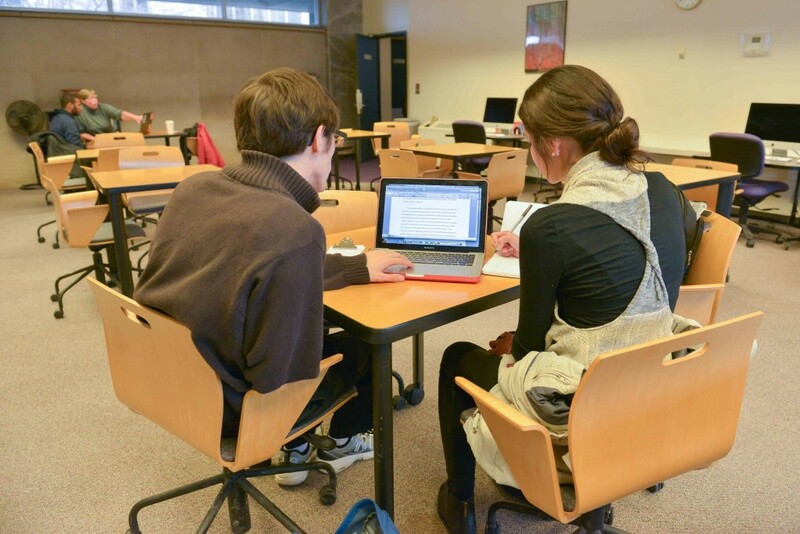 The Writing Center serves all students, whatever major or discipline, and writing consultants work with students at any stage of the writing process on any type of writing assignment. They assist thousands of students of various academic, cultural and linguistic backgrounds on everything from formal academic writing to professional documents, applications and creative writing, Erwin says. 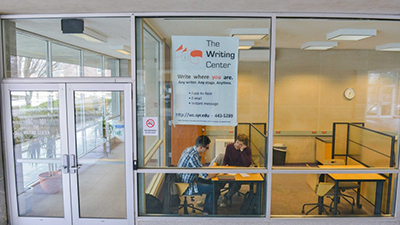 The Writing Center, which is part of the Writing Program in the College of Arts and Sciences, is staffed by professional (adjunct instructors), graduate (teaching assistants) and peer (undergraduates) writing consultants. They are available to meet with students in scheduled face-to-face and instant messaging sessions, and will answer questions via email. Although each tutoring session is different, appointments typically start with a conversation about the student’s assignment and his or her goals for the session, says Erwin, who is also a composition instructor. “If the student is near the beginning stages of a piece of writing, the appointment may include reviewing an assignment sheet or rubric, reviewing readings or other course materials, or brainstorming ideas and formulating an outline,” Erwin says. If the student has a draft, the consultant will ask about the student’s concerns and then work on some strategies, including reading the text aloud to hear the flow of the narrative, identifying unclear ideas and noticing any error patterns. “Consultants tend to focus on global concerns first—meeting assignment requirements, clarity of ideas, the overall structure of a text—before focusing on grammar, punctuation, sentence structure or syntax and diction,” Erwin says. As he works with students during a semester, Erwin can see their development as writers and growing confidence. But sometimes it’s also just about being able to talk through a project and helping a student focus their thoughts. For example, Erwin remembers one student who came to him needing assistance in formulating his thoughts to answer questions on an internship application. Erwin asked him about his experiences and why he was applying for the position, and they discussed the importance of writing to the audience in that genre of writing. As a writer, Erwin enjoys the meaningful conversations with students about writing. Guttman is an intern with Syracuse University’s Student Social Media Team.